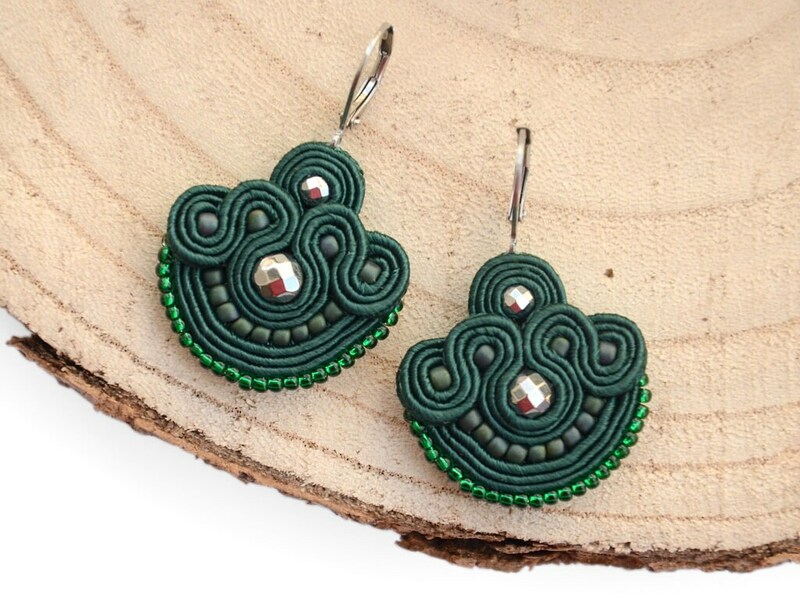 Handcrafted dark green earrings with unique design. I made these earrings using high-quality materials including the soutache braid from Czech Republic and hematite. The thin trims are carefully sewn together by hand with a dedicated beading thread. The earrings are very light and pleasant to wear. They will definitely add a splash of color to your outfit. This product is a great gift idea for a woman who loves one-of-a-kind artistic wearables. An eco-friendly jewelry gift box is included.